No unit of local government, including home rule units, may enact a local ordinance which prohibits the use of vehicles equipped with automated driving systems. 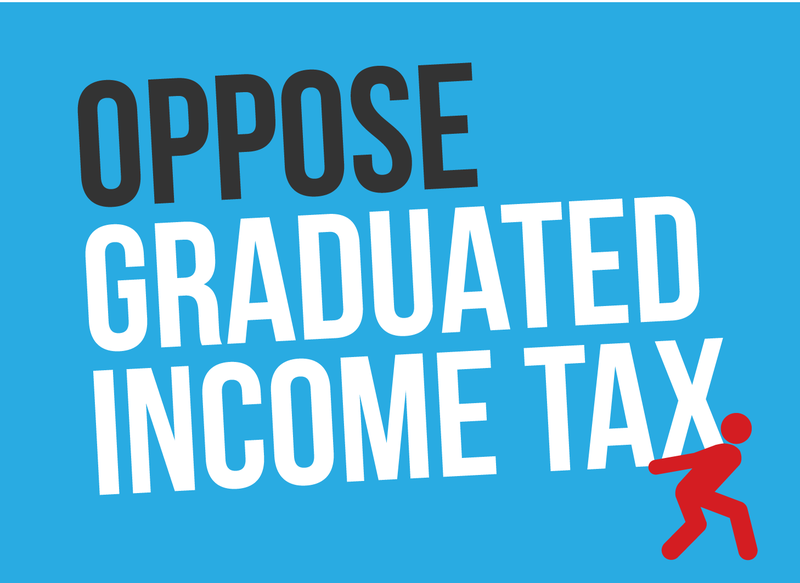 This legislation amended the Illinois Lottery Law to direct that any money transferred from the lottery fund over to the Common School Fund be considered supplemental to any money due to be transferred into the fund, rather than in lieu of those funds. The Department of Children and Family Services is empowered to cooperate with school officials to distribute in school buildings materials which list the toll-free telephone number established by the Abused and Neglected Child Reporting Act. This information can also include the methods of making a report under the Act. Boats operated, used or stored in Illinois must have on board a valid certificate of number issued under the Boat Registration and Safety Act or another federally-approved numbering system. The identifying number must be displayed on both sides of the bow of the boat. Fees for obtaining these numbers will increase slightly, and expiration of certificates will be extended to September 30 of the relevant year instead of June 30. The legislation also limits the requirement for a certificate of title for watercraft required to be numbered to those over 21 feet, rather than all watercraft as in the current law. The Department of Transportation and local governments will be required to post notice of highway detour locations on their websites at least 10 days before the detour becomes active. The requirement will not apply in the case of an unanticipated emergency, nor will it apply to a local government that does not have a website maintained by full-time staff. A local government can post on its website a link to IDOT’s notice in order to satisfy its posting requirement. Each municipality of over 5000 people will be required to develop and update a long-range highway transportation plan for up to 20 years, and will be required to make the plan publicly available on an annual basis. This action will be done in order to properly plan for the utilization of motor fuel tax funds. If the adult child of a deceased person is financially dependent upon the deceased and resides with the surviving spouse, then the surviving spouse is allowed a sum of at least $5000 that the court deems reasonable or to which the parties agree for the proper support of the adult child for the period of nine months after the death of the deceased parent, if that adult child is likely to become a public charge. If the adult child does not reside with the surviving spouse, then the child would be allowed the sum of at least $5000 that the court deems reasonable or to which the parties agree. This new law reflected the recommendations of the Task Force on Veterans’ Suicide. Its changes include a requirement for the Illinois Department of Veterans Affairs (IDVA) to coordinate with the federal VA to identify veterans returning from service in combat units and to establish a proactive outreach program for those veterans. IDVA shall have a priority for hiring combat veterans to serve at veteran service organizations, and IDVA will be required to coordinate with institutions of higher education to provide a proactive outreach as part of an educational success program for veterans. IDVA will work with the federal VA to develop a transition program for returning veterans and will collaborate with non-profits, businesses and employers that focus on the needs of employees who are veterans seeking employment and that support employees who are veterans. Cell phone companies will now be added to the list of persons and entities that are required to provide location information concerning putative fathers and noncustodial parents for the purpose of establishing a child’s paternity or establishing, enforcing or modifying a child support obligation when requested by the Child and Spouse Support Unit. The company will have 15 days to provide the information and will not be liable for disclosure of the information except in cases of willful and wanton misconduct. This legislation made changes to the makeup of the Farmers’ Market Task Force to add one person appointed by the Mayor of Chicago. It also contains provisions having to do with proper refrigeration and hand-washing at farmers’ markets that will apply uniformly throughout the state. Under this new law, the prohibition on the Department of Natural Resources (DNR) assessing fees for consultations requested from state or federal agencies is eliminated, and DNR may now assess consultation fees of $100. The Department of Public Health is now required to identify in its annual report locations of food deserts within Illinois and to provide information about health issues associated with food deserts. The information on food deserts, which must be presented to the General Assembly by December 31 of each year, can include information from the federal government in order to satisfy the reporting requirements. A food desert is a community or large geographical area where access to healthy, affordable food options (particularly fruits and vegetables) is restricted or nonexistent due to the absence of full-service grocery stores, including small stores focusing on fruits and vegetables, within a convenient traveling distance. 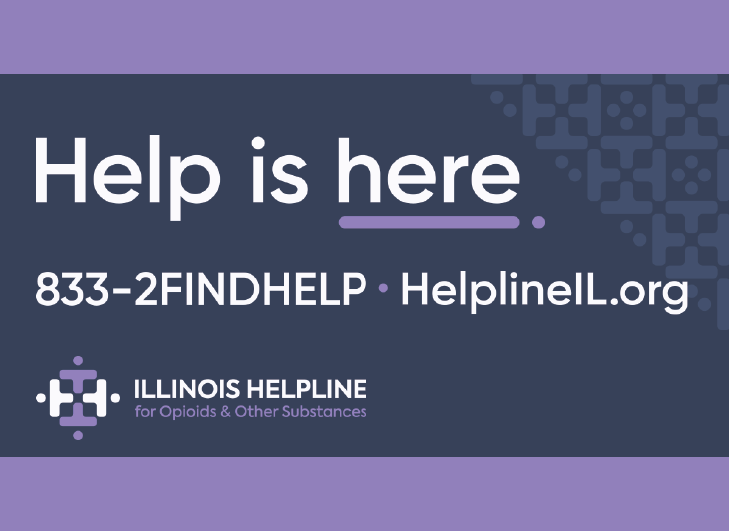 The Department of Human Services will now be required to create and maintain a website to educate the public on heroin and prescription opioid abuse. The website must include information about warning signs, hints for parents on discussing these dangers with children, information about treatment options and the toll-free number for information about services and questions, as well as flyers and resources to download. Businesses which rent furniture and electronic equipment are now required to inspect the furniture and equipment for bedbugs and other pests before renting it to the next customer. If found to be infested the item in question must be treated before it can be rented again. The state may not deny a request for delay of payment of assessments imposed under the Long-Term Care Provider Funding Article of the Illinois Public Aid Code if the Medicaid managed care organization has not been paid by the state. This legislation sets terms regarding bonds for the East Prairie School District 73 and the Brookfield LaGrange Park School District 95. It also provides that a school district relying on an exception to its debt limitation cannot issue bonds without a hearing as required under the Bond Issue Notification Act. It requires additional information be included on the public notice before a public hearing. A law enforcement officer making an arrest for a violation of animals in entertainment, or confinement in a motor vehicle, may lawfully take possession of some or all of the companion animals in the possession of a person being arrested. If the offense concerns entertainment or dog fighting, the court may order the convicted person to forfeit to an animal control or animal shelter the animal(s) that are the basis of the conviction. School districts may serve students produce grown and harvested by students in school-owned or community gardens if the soil and compost in which the produce is grown meets specified standards and the produce is served in accordance with specified standards. The school may also serve students produce grown and harvested by students in school-owned facilities which utilize hydroponics or aeroponics. 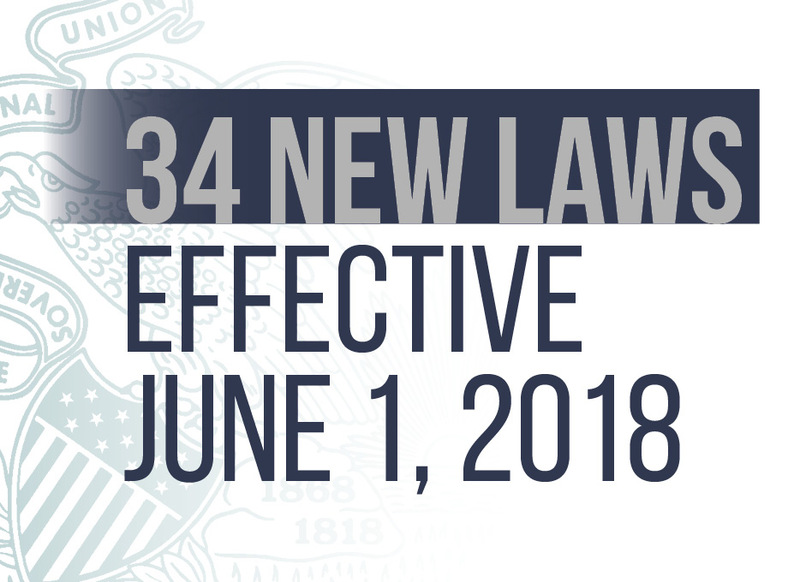 This bill matches Illinois law with the federal Securities and Exchange Commission’s rule regarding qualified escrowees. Certain agents of title insurance companies, registered broker-dealers, registered investment advisors and law firms are to be included within the scope of the term “qualified escrowee.” It removes a requirement that the dealer in certain exempt transactions be organized under Illinois law and authorizes the payment of finder’s fees. The new law also permits an internet portal to accept equity as payment if specified conditions are met. The new law makes a series of changes to Illinois law regarding day and temporary laborers. Included among these changes are a requirement that when attempting to place their laborers in permanent positions, a day and temporary labor service agency inform laborers of the type of equipment, protective clothing and training necessary for the work to be performed, and a requirement that any worksite-specific safety training be completed by the party responsible for supervision of the worker before the laborer begins work on a project – and that the training must be in a language and vocabulary that the worker understands. It also requires the race and gender of the temporary laborers to be reported to the Illinois Department of Labor and exempts such reports from inspection and copying under the Freedom of Information Act. House Bill 763 made a number of technical and clean-up changes to the Health Facilities Planning Act. For example, it added a definition of “financial commitment,” and clarified due dates for the Act’s financial commitment requirement. It also amended the Alternative Health Care Delivery Act to provide that a children’s community-based health care center is to be provided in a home-like environment that serves more than 12 children at a time, except for those in Chicago which are on grade level for Life Safety Code purposes may provide care to no more than 16 children at a time. Proceeds from the sale of oil or gas from non-coal formations which are received as royalty, overriding royalty, limited royalty, working interest, net profit interest, time-limited interest or term interest or lease bonus shall be deemed income. In a petition to change the name of a child, notice and an opportunity to be heard must now be afforded to any parent whose rights have not been terminated. The new law also amends the Illinois Marriage and Dissolution of Marriage Act to state that a court order dissolving a marriage will include a provision allowing either party to resume using their former or maiden name, should they so desire. The new law also makes changes to maintenance guidelines schedules and gross income thresholds. This new law allows a coroner to donate the remains of an unclaimed body for medical science purposes. If private funds are not available for burial, a state or local official shall inform the family or its representative of the option to donate the remains for use in advancement of medical science. The law also creates a registry of contributed bodies. It also prohibits a medical science institution from transferring remains in a manner not authorized and prohibits the sale and harvesting of body parts. The Department of Corrections will establish a permanent, statewide Women’s Division under the direct supervision of the Director. It will have operational oversight over all of DOC’s women’s correctional centers and adult transition centers. The Chief Administrator will be a person who has received nationally-recognized specialized training in gender-responsive and trauma-informed practices. The division will develop and implement evidence-based, gender-responsive and trauma-informed practices to govern Women’s Division operations and programs, as well as other practices for better running women’s correctional centers and adult transition centers. This new law amends both the Counties Code and the Municipal Code to prohibit counties and municipalities from classifying milkweed as a noxious or exotic weed. Illinois’ state insect, the monarch butterfly, is reliant on milkweed for its survival. It will now be a mitigating factor in sentencing if at the time of an offense the defendant was suffering from undiagnosed or untreated post- partum depression or psychosis that tended to excuse or justify the defendant’s criminal conduct if the defendant has been diagnosed by a qualified medical person after sentencing and the diagnosis was not used at trial. The defendant would have to prove that the felony was the direct result of the condition and that the diagnosis would have changed the original sentence. Regarding the appointment of the Director of the Women’s Division of the Department of Corrections mentioned above, this legislation deletes the requirement that the director’s appointment be subject to the advice and consent of the Senate. If a student is already licensed to teach and is in school pursuing an additional teaching endorsement or a master’s degree in a field in which he or she plans to teach or is already teaching, then that student may participate in the Minority Teachers of Illinois scholarship program. Previously, the program was limited only to undergraduate students. Under the Airport Authorities Act, certain ordinances adopted by the Board of Commissioners of an airport authority may prescribe such fines as the Board deems appropriate, up to $1000 upon conviction for each offense. The Department of Labor is directed to create an online employee misclassification referral system. It must use one form that contains all the necessary information for employee misclassification complaints to the Department of Employment Security, Illinois Workers Compensation Commission, Department of Revenue and Department of Labor. The system shall refer complaints to the appropriate agency based on the information supplied. Anonymous and third-party complaints will not be accepted. Upon completion of an investigation, the investigating agency shall report its determination. The Department of Labor will maintain and make available to the employer’s licensing or regulatory agency the results of the investigation, as well as all appeals and administrative reviews. 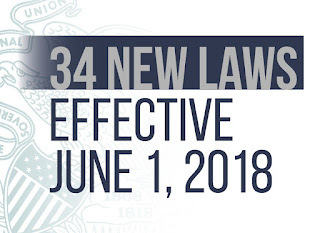 This law requires the Illinois Law Enforcement Training Standards Board to create a model policy to train law enforcement officers in dealing with the eventual release of that person from custody, with a separate policy to be made concerning those under the age of 21. The policy would require such steps as requiring the arresting officer to make a reasonable attempt to contact a responsible adult who is willing to take custody of the person who is under the influence, and guidance for proper medical attention if warranted. The law also provides that whenever an officer reasonably believes someone under arrest for DUI is likely to commit a subsequent violation upon release, the officer shall have the person’s vehicle impounded for 12 hours after the time of arrest. This new law makes changes to Illinois’ Title Insurance Act. The net retained liability of a title insurance company for a single risk on property in Illinois is raised from 50% to 100% of the firm’s total equity as measured in the form of surplus to policyholders. The law also clarifies the authorization of the purchase, by title insurance firms, of title insurance reinsurance. This legislation standardizes and streamlines regulation of small wireless cell facilities, paving the way for next-generation 5G wireless and other technology in Illinois. Local governments will retain their role and authority in the permitting process of telecommunications equipment by allowing them to exercise their zoning, land use, planning and permitting authorities within their boundaries.